Winery: Les Vignerons D’Estézargues is a co-operative winery of 10 different growers in the small town of Estézargues, just west of Avignon. Founded in 1965, they became a pioneer for quality and individuality in their wines when in 1995 they began to vinify their wines separately and to make single cuvées from their best plots. 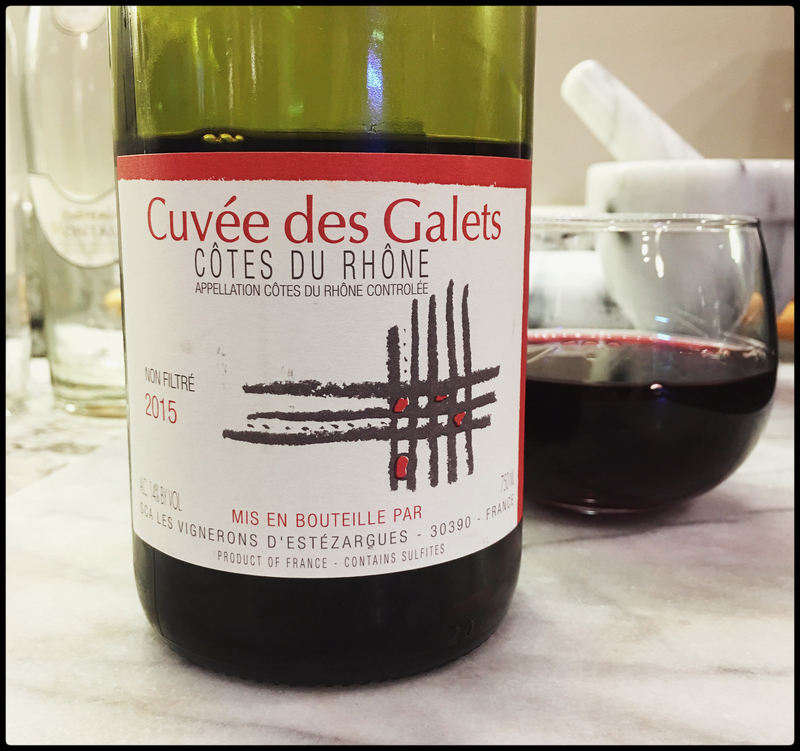 Winemaking: With nearly 1000 acres of vineyards, they are now one of the most modern and progressive co-ops in the Southern Rhône, with a focus on sustainable agriculture, low yields and small batch vinification. Believing in as little intervention as possible, they do not add external yeast, sugar, or enzymes in their production process. Sulphur is only added in minimal amounts during bottling, and their wines are neither refined nor filtered. Tasting Notes: Red-violet in colour with enticing aromas of wild berry pie and earthy spice. Fresh wild strawberry, raspberry, blackberry and a drop of red currant are smeared over an earthy core and supported by grippy tannins. Black pepper and berry fruit return on the plush finish. Hearty and rustic, a fantastic value and versatile companion at the table.